This post is, in actuality, being composed on Monday, in a bout of pre-travel organisation. As you read this, I will be in New York, taking a well earned break from the PhD and passing Thanksgiving with my family. A pretty good deal, I’m sure you’ll agree. But never fear, my bibliophilic tendencies will remain unaltered by my inter-continental excursion. As proof, here is this week’s edition of The Weekly Reader. This review is an excellent summary of literary behaviour, in itself. And it invites the conclusion that Currey’s book will make an excellent read for any dedicated bibliophile. Guardian blogger Robert McCrum has embarked upon an unbelievably difficult task – the selection of the 100 best novels. I think most avid readers enjoy peering at these lists periodically to see how well they are doing in covering The Greats, in addition to determining any forgotten works to add to the To Read pile. McCrum has been set an unenviably tough project, asked to look back through his reading history in an effort to compile an authoritative literary guide. This article finds McCrum part-way through the task, as he discusses the internal debates associated with the project – the inevitable omissions and the controversial inclusions. He also reflects upon the autobiographical nature of the selection process. This piece makes for a fascinating read and has me awaiting McCrum’s list with anticipation. Hallelujah! 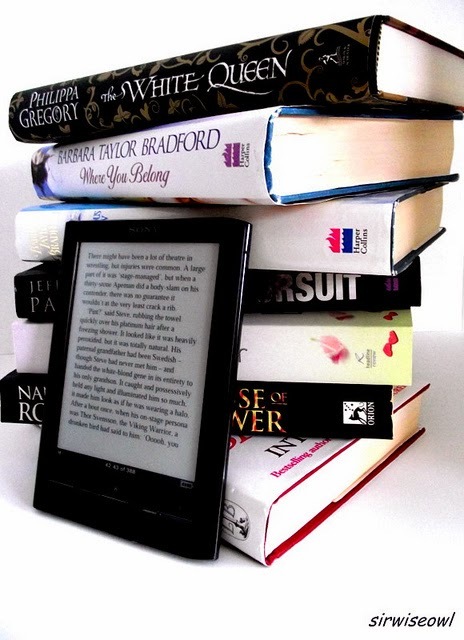 62% of 16 to 24-year-olds prefer printed books over digital versions. My faith is restored. 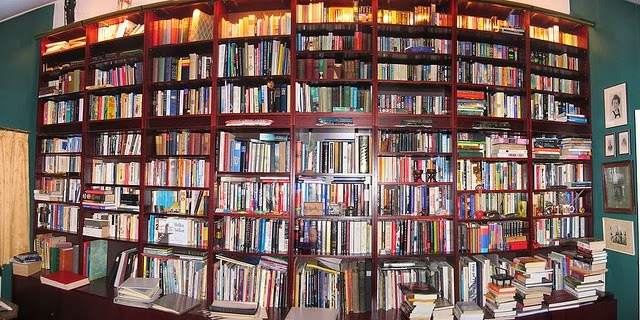 A world without the joys of bookshops, the smell of old cloth-bound classics and brand new tomes, or the complexity of bookmark selection, is a world in which it is not worth living. And without a world containing bookshops, it would not be possible to have signs such as these. One of my primary reasons for placing Australia on the Bucket List. Thank you Kaleido Books! The Cambridge Wordfest Winter Festival is on its way! Featuring a number of big names (including Lionel Shriver, Sir Ranulph Fiennes, and Sarah Dunant), the programme is a winner. Definitely one effectively literary way of welcoming the winter season. In recognition of the growing trend in self-publishing, this event promises to offer authoritative advice on the process, to any budding authors. Although free and not taking place until January, booking is advised. It’s sure to be a popular one! With the holidays fast approaching, I felt that it might be an appropriate time to turn to gift recommendations for your bibliophilic friends and family. This week, spotlighting the fabulous world of literary stationery! Featuring 25 different quotes from Jane Austen’s works, this postcard gift set would make a fantastic addition to the literary collection of any Austen fan! Anyone who knows me, knows that I have some fairly compulsive behaviour when it comes to loaning books. I am always keen to spread the joy of books that I love (hence the blog), but I cannot bear the idea of permanently parting with anything from my collection. As a consequence, I make for a fairly strained administrator of my personal library. This gift provides a solution for those in a similar situation. If you are looking for advice on scales for administering fines, drop me a line. 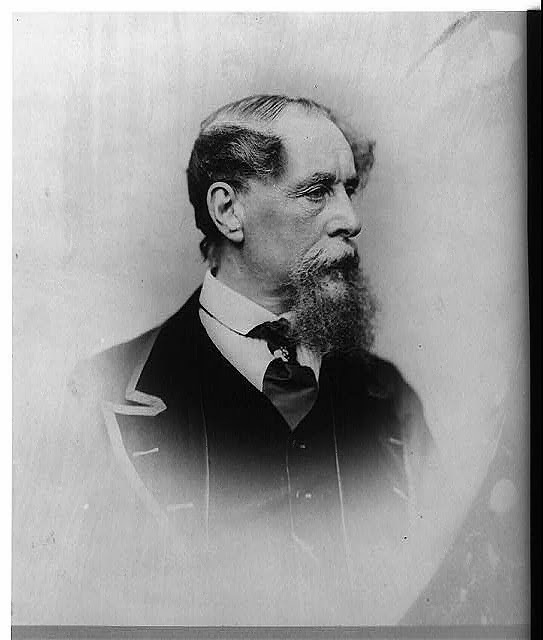 Because what could be more inspiring that Charles Dickens’ face?